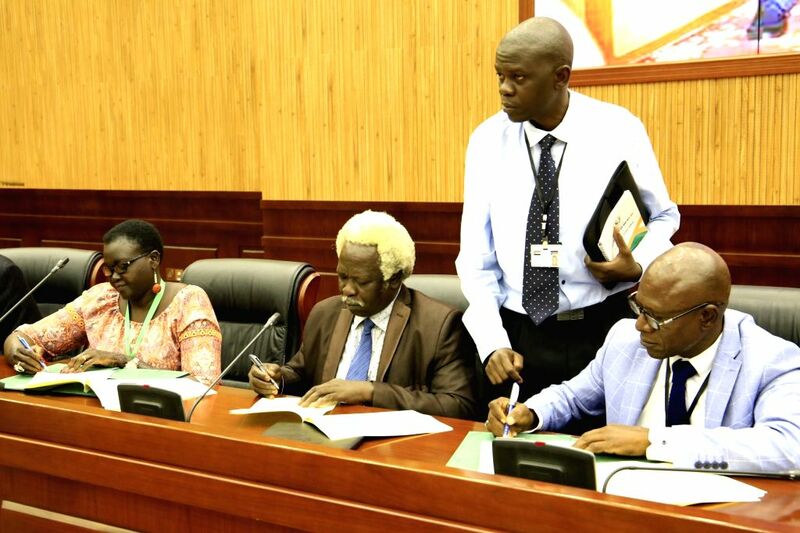 KHARTOUM, July 25, 2018 - Representatives of South Sudan's conflicting parties sign an agreement on power-sharing and governance in Khartoum, Sudan, July 25, 2018. 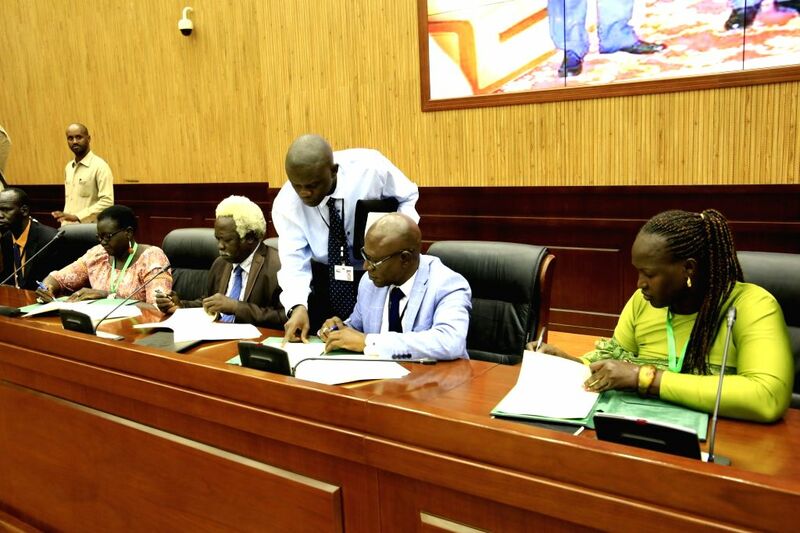 South Sudan's conflicting parties on Wednesday signed an agreement on power-sharing and governance in Sudan's capital Khartoum. 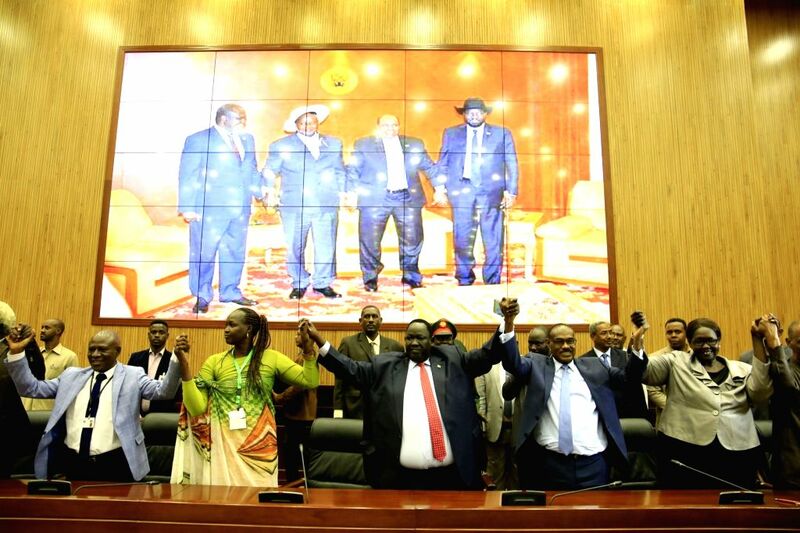 Representatives of South Sudan's conflicting parties hold their hands after signing an agreement on power-sharing and governance in Khartoum, Sudan, July 25, 2018.